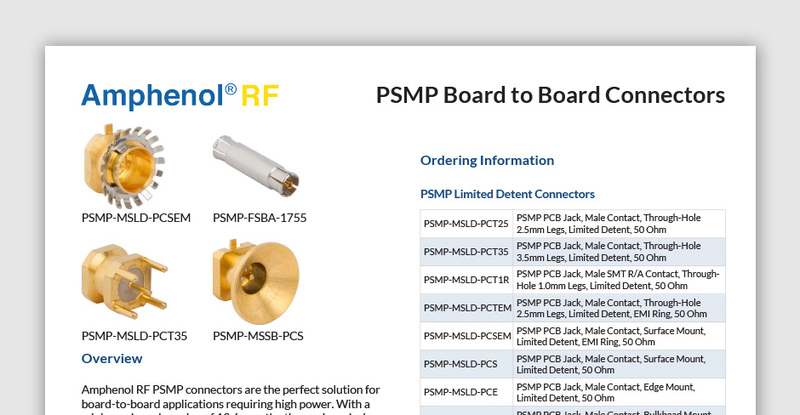 Amphenol RF is the world’s largest manufacturer of coaxial connectors for use in radio frequency, microwave, and data transmission system applications. Headquartered in Danbury, Connecticut in the US, the company also has global sales, marketing and manufacturing locations in North America, Asia and Europe. The sizable challenge for this project was the timeline. As new products come out quickly, there is only a brief amount of time to generate a new cut sheet. With the existence of the client’s current on their product line, Ready Artwork used the existing styling to create a new, creative cut sheet with consistency. By doing so, the solution ensured that the design did not deviate too far from the existing style. The final product helped provide the Amphenol sales team with a valuable visual resource.